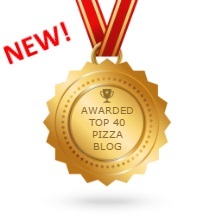 If you’re coming to my blog for the first time, there’s a wealth of information here about how to cook pizza. Feel free to check out the blog posts below, they should help to up your pizza game and will prove invaluable in getting the best results. For the triple buffalo pizza, I used the morning or night before dough recipe. You can still use the same evening pizza dough recipe, simply adjust the dough ingredients and timing accordingly. I strongly recommend using a pizza stone, whether cooking in a conventional oven or Big Green Egg. If using an Egg, please ensure that the pizza stone being used can handle the high temperatures of the Egg, as stones for standard ovens normally can’t and will break. I sourced the buffalo mince from The Buffalo Farm in Scotland (no commercial connection). They do a prompt home delivery service. Buffalo tomatoes (a hybrid beefsteak tomato) are heirloom tomatoes that look a little like buffalo hearts … apparently. Proper buffalo mozzarella is a cheese made from the milk of buffalo, in Europe normally Italian Mediterranean buffalo. This can be cooked in a standard oven or Big Green Egg. Make the pizza dough by following the recipe in this blog post, either in the morning or the night before. Place the pizza stone in the oven/Egg to warm. Pre-heat the Big Green Egg to 350°C-375°C/660°F-700°F, indirect setup. Meanwhile, slice the buffalo tomatoes and mozzarella. Cut the minute steaks into small strips, sprinkle with a pinch of salt and pepper. Heat some oil in a frying pan, flash fry the steak strips for 30 secs, then set aside. Flour a worksurface and shape your pizza base. The method is a personal choice, the video clips below show a few methods of pizza base shaping. The YouTube clip below shows Ken Forkish shaping his dough into a pizza base. Sprinkle some shredded mozzarella on the pizza base, then add sliced tomatoes, pan-fried steak strips and lastly sliced buffalo mozzarella. Load the pizza into the oven or Big Green Egg. Cook for 4-6 minutes until the crust is golden brown, turning every so often to ensure an even cook. Garnish with fresh basil leaves, slice and serve. The buffalo mozzarella and tomatoes will probably contain a lot of fluid, pat them dry before adding them to the pizza. A rolling mat (pictured below) can help in getting that pro looking round pizza shape.